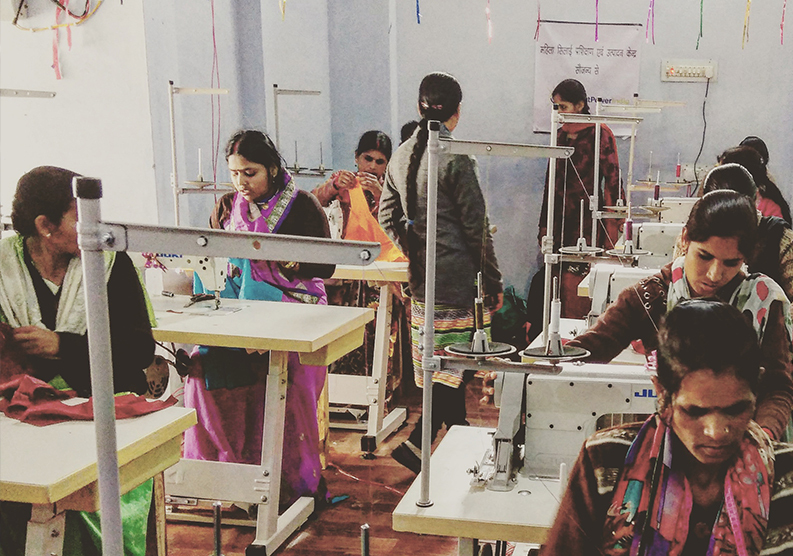 Sattva is working in collaboration with Smart Power India (SPI) to address issues of gender gaps and bringing rural women into mainstream employment through setting up a micro apparel-manufacturing centre. The centre aims to connect willing women to mainstream market by providing them training and sustained employment. Sattva’s approach for the micro-apparel manufacturing centre is designed in such a way that it addresses the key problems of the rural communities of Uttar Pradesh highlighted above and tries to solve a small part of the larger unemployment and migration problems. The intention of the above micro enterprise development projects is to scale this business model to more and more villages and create a cluster of these micro apparel centres into a small-scale industries which provides employment to local communities and empowers women in the region. 1. The workforce to get at least 40% of the selling price on a per piece basis, which is much more than the current percentage of 10-20% of the selling price. 4. The centre would be handed over to the community to be run by them in course of 2-3 years. In other words, we are looking at this as a solution, i.e. more than just a “unit cost”, and enabling impact that has to go beyond measurement, to also look at scale + sustainability.